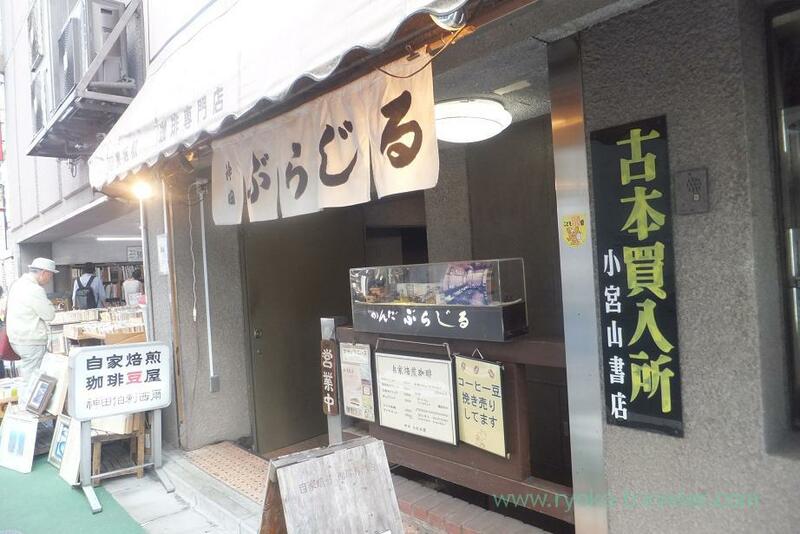 Jinbocho is popular as a town all kinds of second-hand books gathering, but it is also recognized by people that there are so many good and long-established curry restaurants. 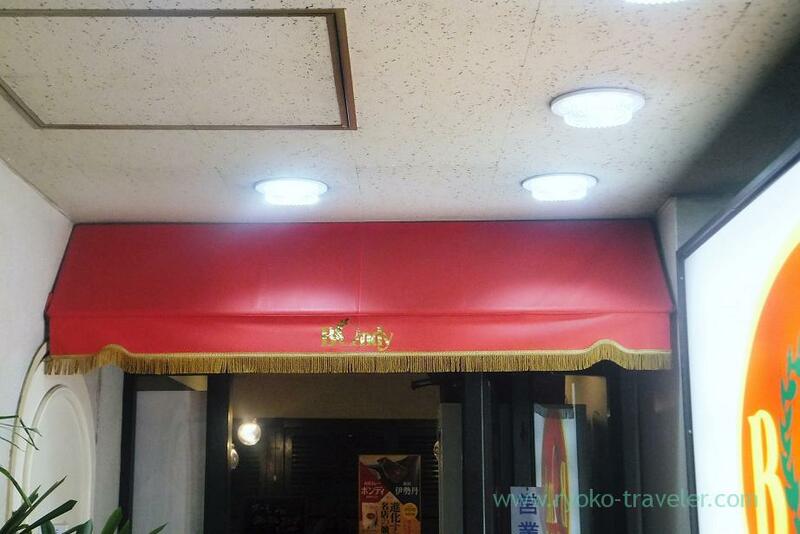 I went to one of the curry restaurant that is named Bondy Jinbocho Honten. It is close to the station. It is on the second floor of old building. Old documents and book store is on the first floor. The main entrance is not for the curry shop. The curry shop’s entrance is along back lane. First comer might be unable to find the entrance with ease.We were, too. I went upstairs, and found the restaurant. And there are so many people waiting. Oh my. 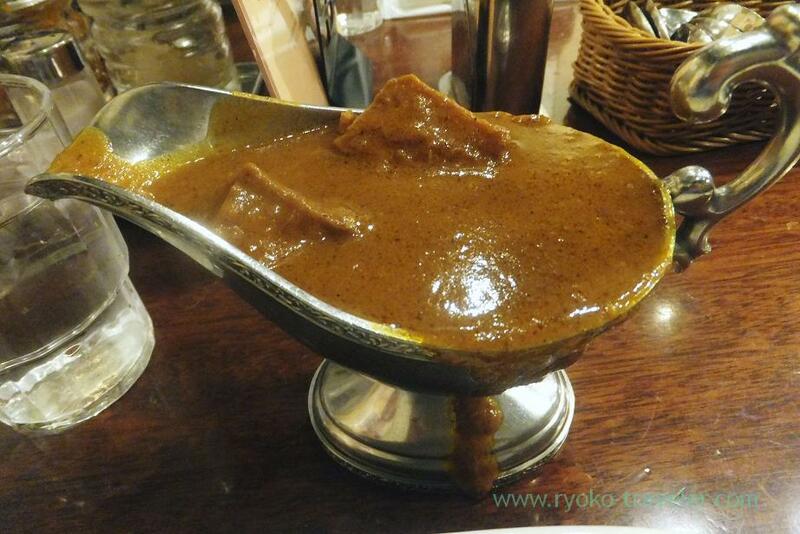 But mostly people don’t take much time to eat their curry up, so we waited for only 15 minutes or so. After we took seats and ordered our curries, such a balls were served. Steamed whole potatoes with butter. Two balls per one person. By the way, we have to share tables at the restaurant. 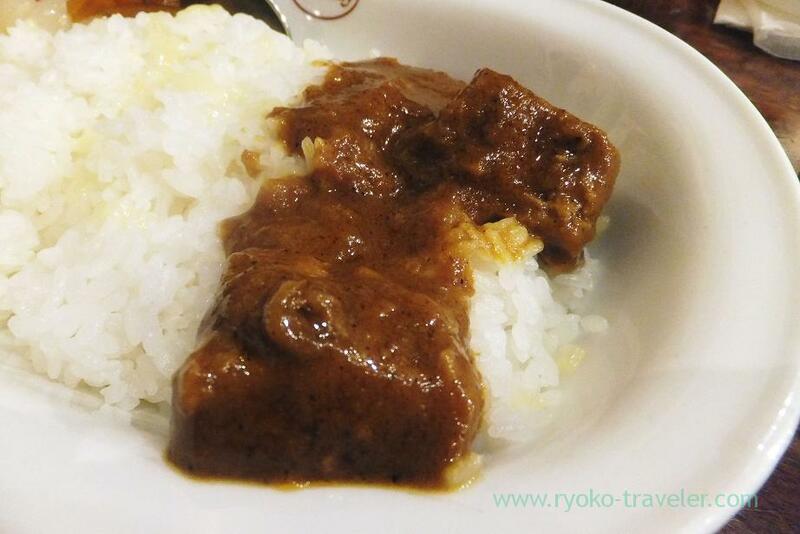 Curry can be chosen from pork, beef, chicken, cheese, scallop and so on. From 1480 yen. And we can select the level of spiciness from sweet, middle spicy, spicy. 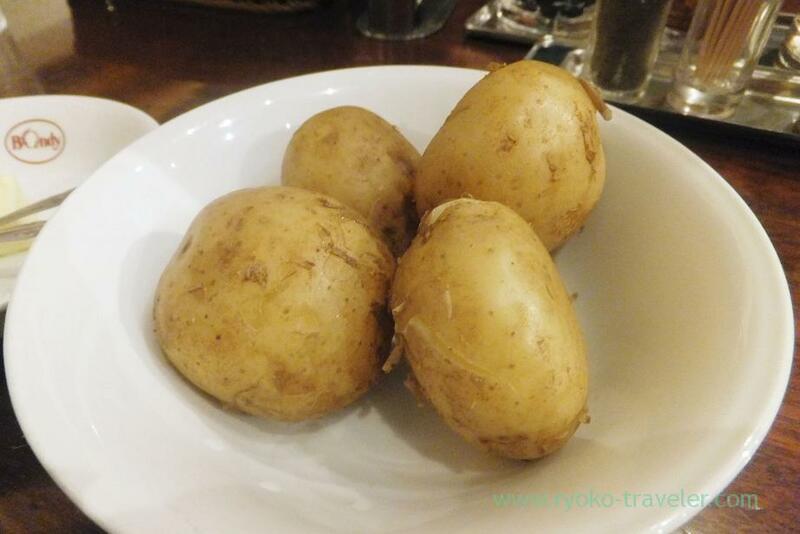 We waited our curries with our potatoes. But our curries were served soon. And cucumber and crunchy pickled plum. As you see, it was rich curry in a gravy pot ! After we got out of Bondy, we walked to back of the station and entered the kissaten. Jinbocho is also a town of old kissaten ! 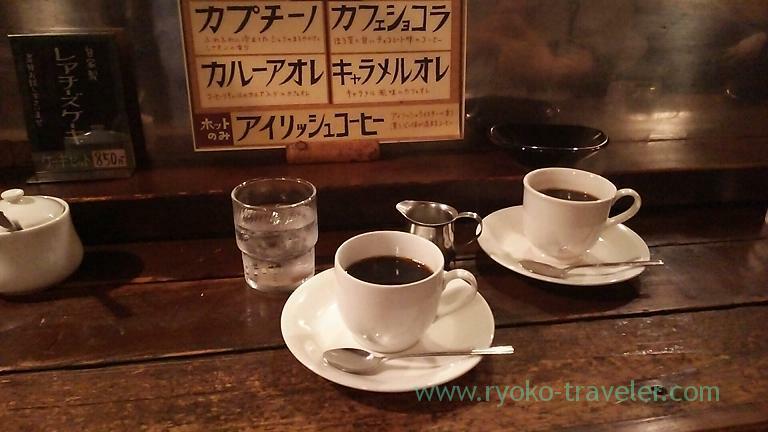 Nostalgic atmosphere attracted me though we led to a narrow counter. A lady ground coffee beans in front of us and the smell was good. Then she made coffee. Seeing her acting is very interesting ! 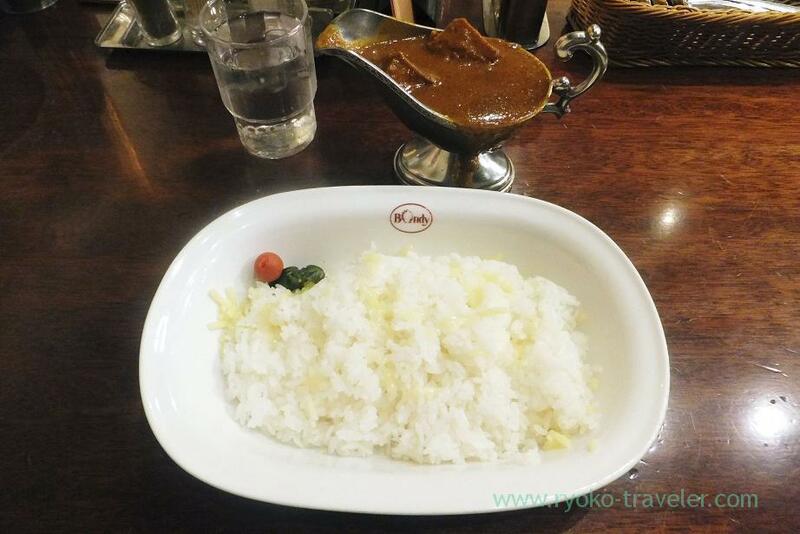 I want to try another curry restaurant around Jinbocho station !